If you want to work on improving your balance, muscular endurance and strength, wearing wrist weights when you exercise can be very effective. 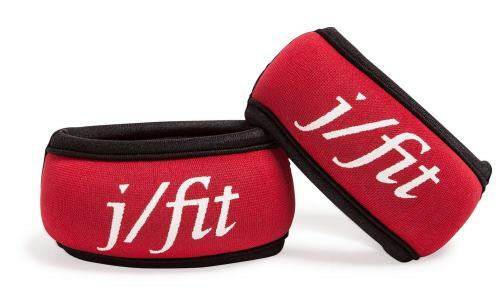 J/Fit Wrist Weights weigh 1 lb. each and there are the three different sizes that you will have to choose from are small to medium, medium to large, and large to x-large. They have a slip-on design that is very convenient and allows you to get them on quickly. These weights will add a significant amount of resistance to your workouts so that you can make more progress each time. The discreet design of these weights makes them perfect for under clothes use. Each wrist weight has a durable Velcro closure for safe weight training, so you won’t have to worry about them slipping off no matter how intense your workouts get. They have the ability to help you with strengthening your muscles and are well-suited for both men and women. If you want to improve your stamina and tone your body, these weights can be very effective. You will find that the SPRI Perfect Fit Arms Weights can be adjusted from 1-1.5 lbs, so you can decide how much resistance you want with your workouts. They have a slim-fit design that conforms to the body and can even be hidden underneath your clothes. You can use these weights to add resistance to almost any type of workout. The lightweight design of these weights makes it so you almost forget they are even there while still toning and strengthening your muscles. 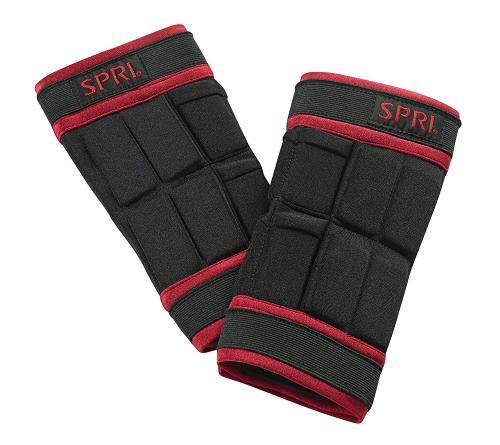 The adjustable closure that these arm weights have makes it impossible for them to come off while you are working out no matter what you are doing. If you want to start burning more calories with your workouts, these arm weights are a great overall choice. 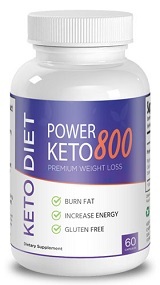 They have a very durable design that is intended for those who are serious about getting fit and staying that way. The All Pro Weight Adjustable Wrist Weights are a great addition to any workout, especially for those who want to burn calories quick. These weights are 2 lb. each for a total of 4 pounds. They can be adjusted up to 2 lbs. per wrist in 1/5 lb. increments, so you can get exactly the amount of resistance you need for your workouts. One of the things that make these weights so great is that they are made of solid iron, so you know they are durable and can stand the test of time. The cushioned flaps protect your wrists and allow for complete freedom of movement, so you won’t feel restricted at all. All Pro is definitely a highly reputable brand when it comes to workout equipment, so you can trust that you are going to get your money’s worth. If you are looking for a way to supplement your workouts, these weights are an ideal choice. These weighted gloves are a great choice when it comes to strengthening your arms and getting the most out of each workout. They are available in three different sizes, including medium (0.5 kg per glove), small (.5 lb per glove), and large (2 lbs. per glove). They have Velcro closures so the gloves stay firmly on your hands when you are working out. Because they come in a number of different sizes, you shouldn’t have any issue when it comes to finding a pair that will fit your hands perfectly. 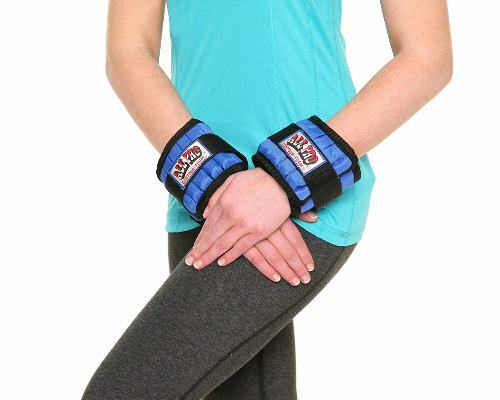 These gloves are perfect for both men and women who are serious about working out and training, and they are made of a durable material that is guaranteed to last. 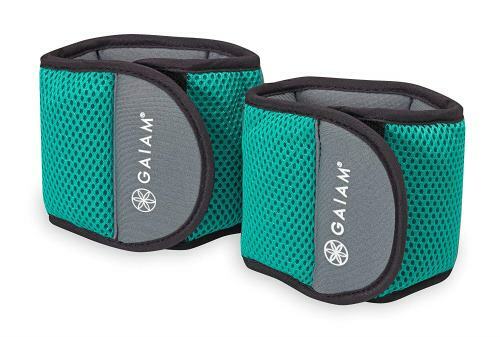 The Gaiam Fitness Wrist Weights are an excellent choice when it comes to building upper body strength one step at a time. They have a very comfortable fit, so you can wear them for a long period of time without feeling like you need to take them off. The easy-adjust design makes adjusting these wrist weights fast and simple so you won’t have any problems at all. It is a 3 lb set, so each wrist weight weighs 1.5 lbs. There are a lot of different wrist weights that you can purchase, but these are among the best because of their easy-to-use design as well as their comfortable fit. If you have been looking for a set of wrist weights that will help you step up your workouts, these are certainly worth taking a close look at before making a final decision.